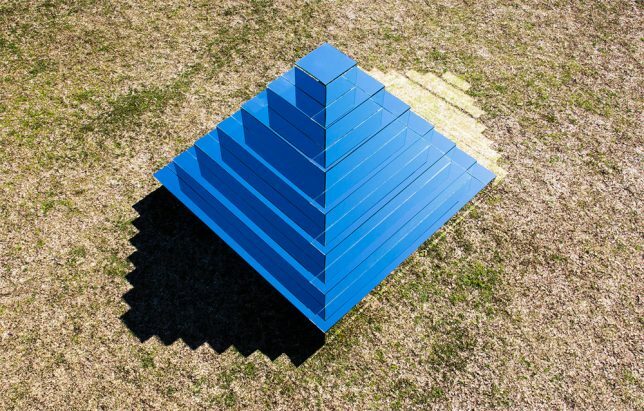 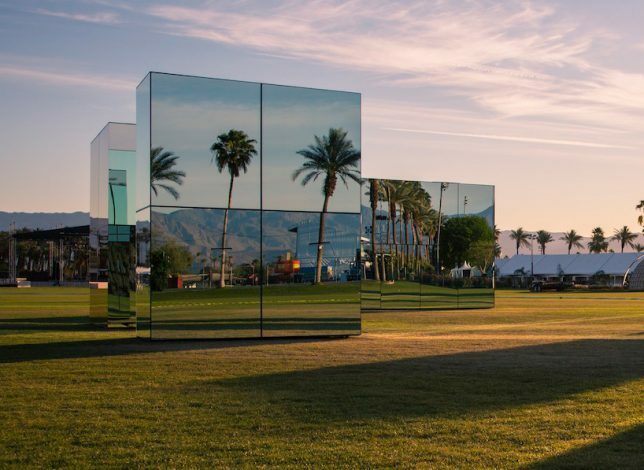 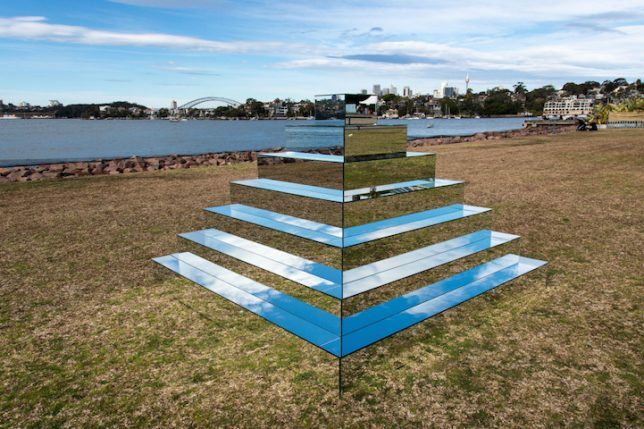 Reflecting the vast open sky and signature palm trees of Indio, California, where Coachella is held each year, the installation ‘Reflection Field’ by Phillip K. Smith III consists of five monolithic volumes that transform all day along with the environment. 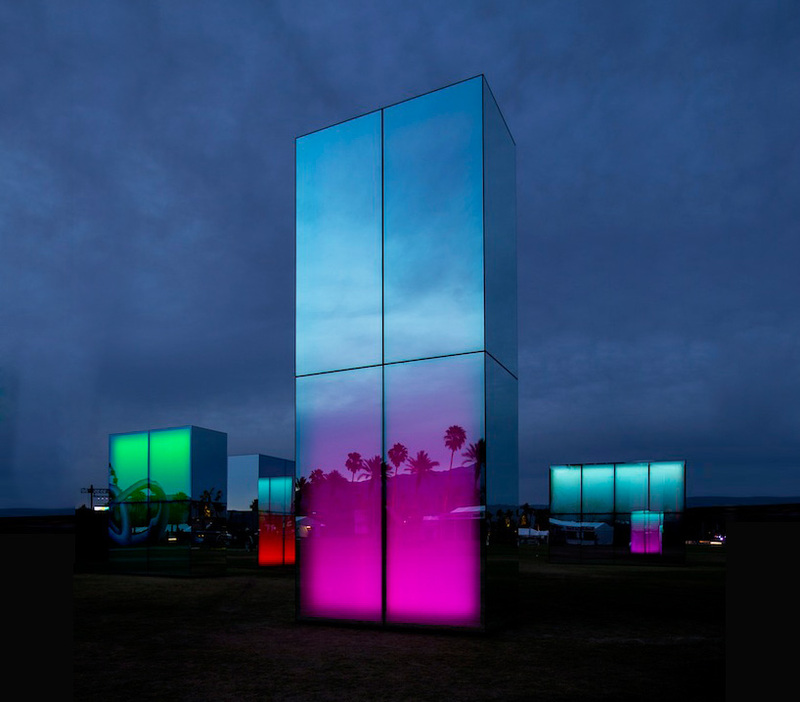 At night, colored light is projected from within. 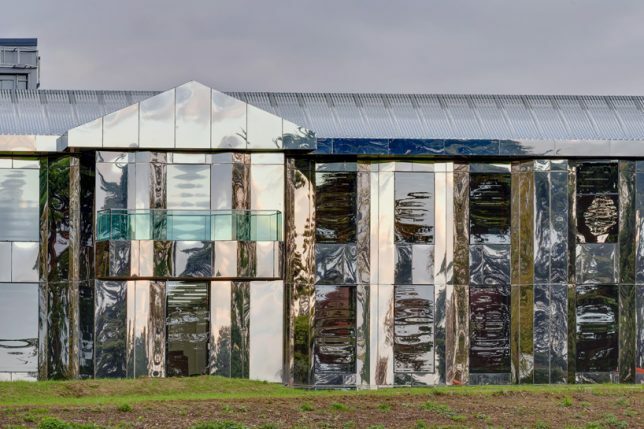 It’s safe to say there’s no French country estate quite as dazzling as this one, now that its facade has been entirely replaced with mirrors. 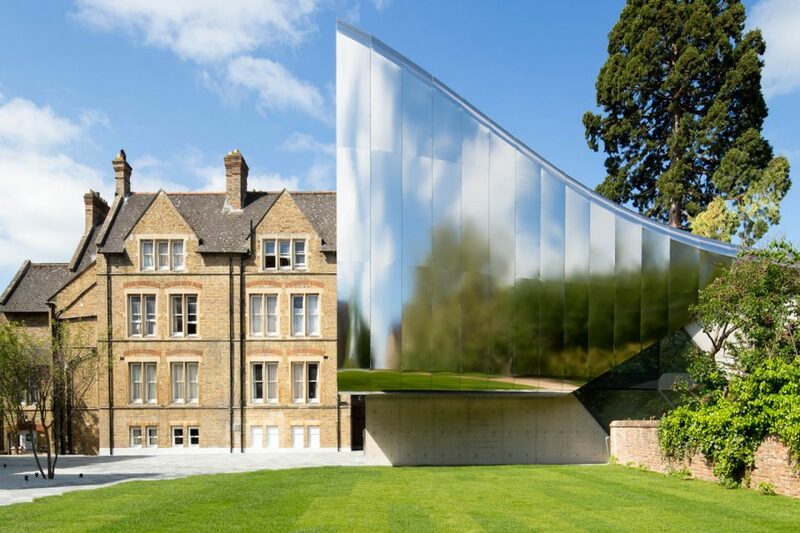 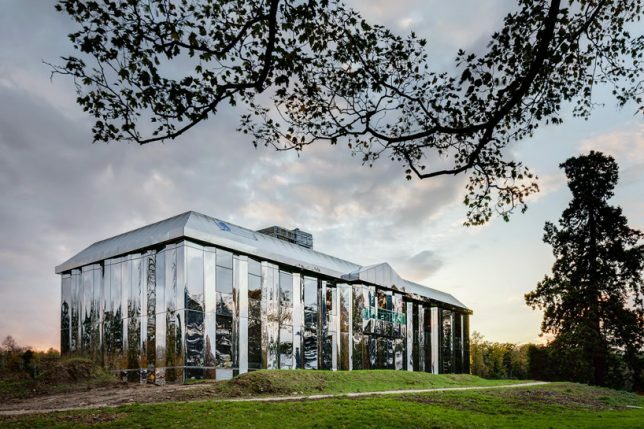 Architecture studio Bona-Lemercier worked with artist Xavier Veilhan and set designer Alexis Bertrand to transform a 1960s home into ‘Le Château de Rentilly,’ a contemporary art gallery. 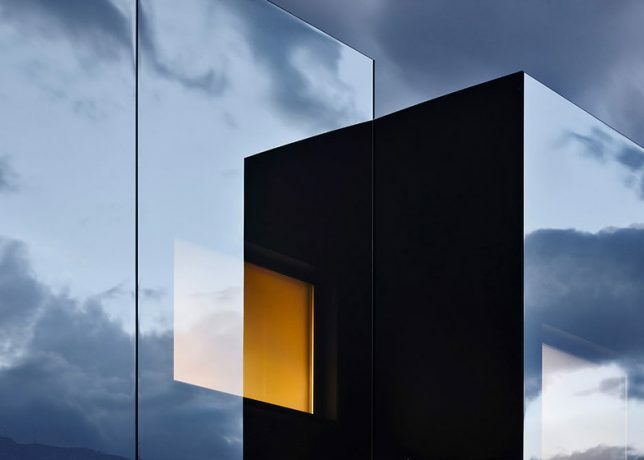 A pair of vacation homes in the South Tyrolean Dolomites by Peter Pichler offer up space for guests without interrupting the property owners’ view of the stunning mountains. 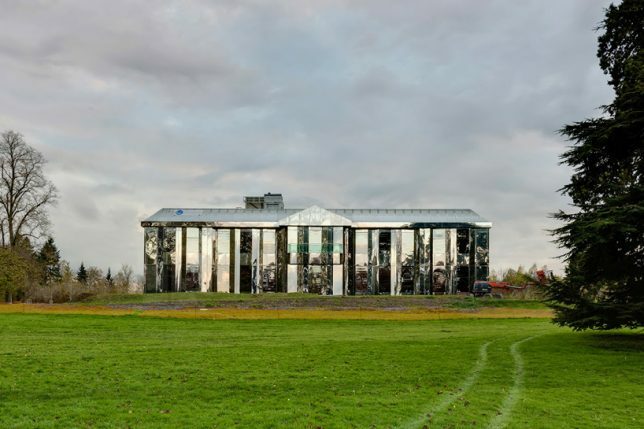 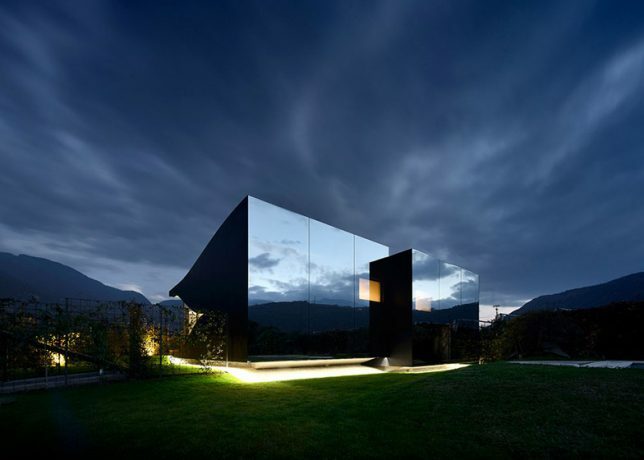 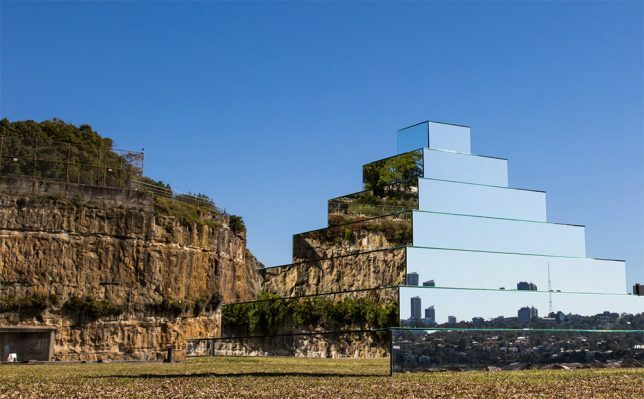 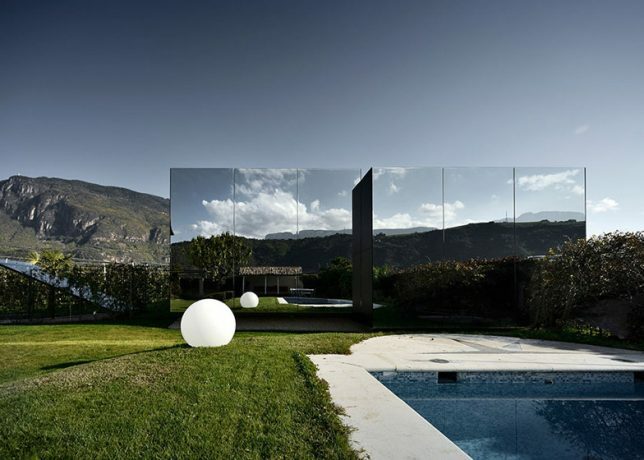 Reflective, but coated in a glare-reducing film to prevent bird collisions, the two ‘Mirror Houses’ blend into the property so they don’t compete with the client’s garden and existing 1960s farmhouse. 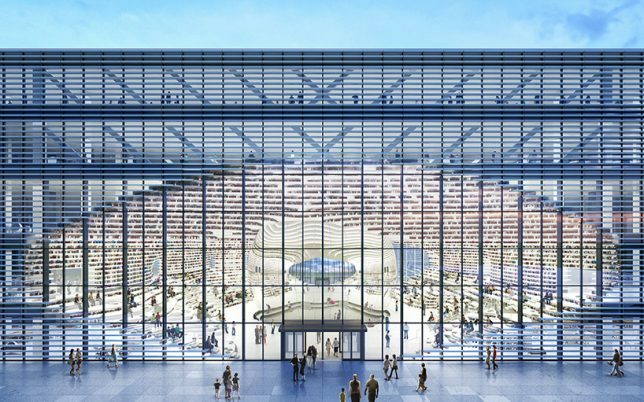 It’s hard to tell what’s real and what’s reflection when gazing inside the transparent facade of MVRDV’s beautiful new library at the Binhai Cultural Centre in the Chinese city of Tianjin. 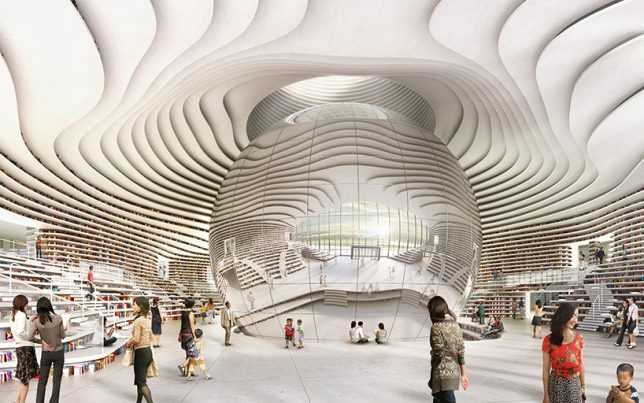 A mirrored spherical auditorium inside the main atrium reflects both the interior space around it (including all those books!) 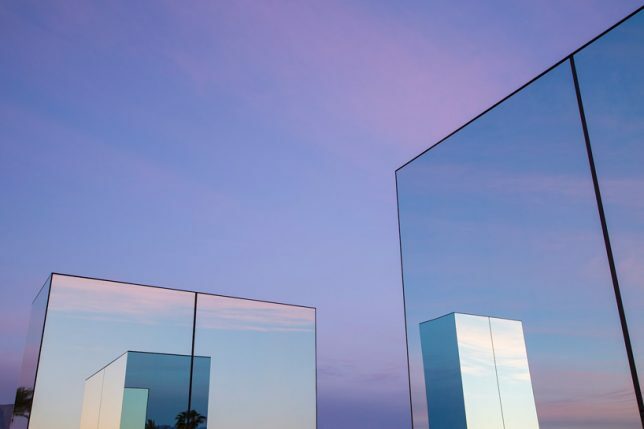 and the park outside.